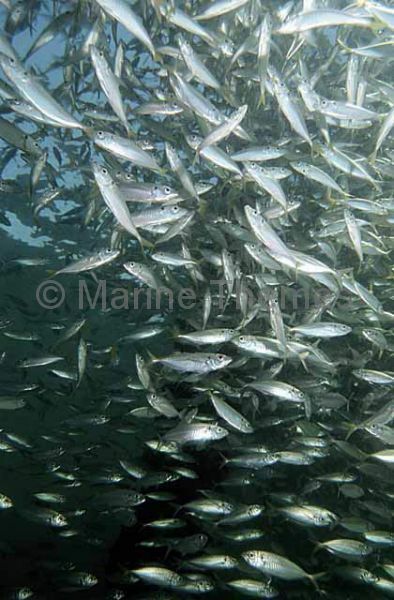 Torpedo Scad (Megalaspis cordyla) schooling under pier. 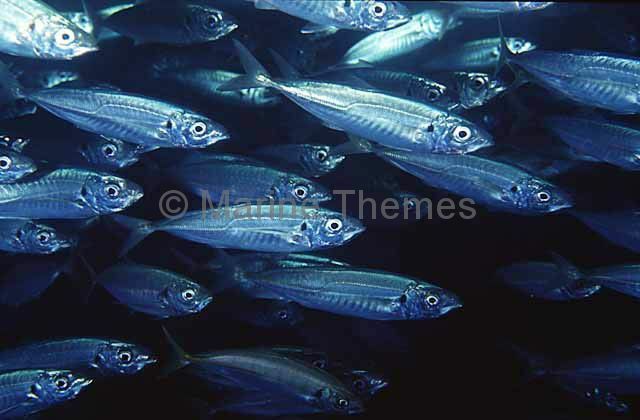 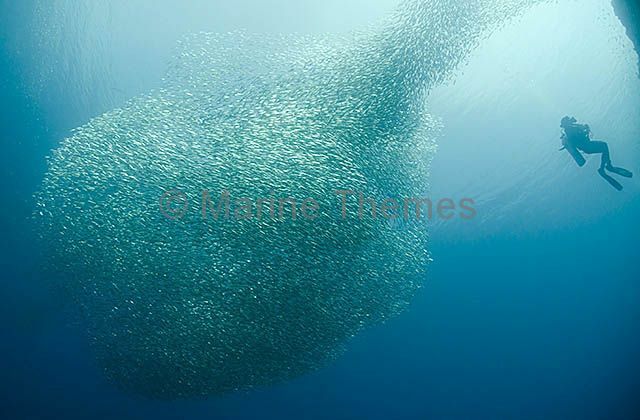 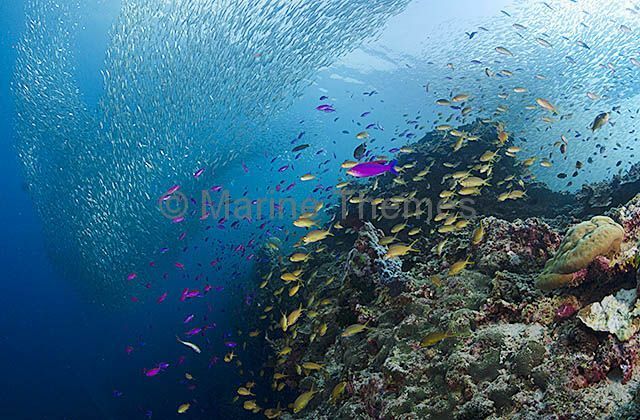 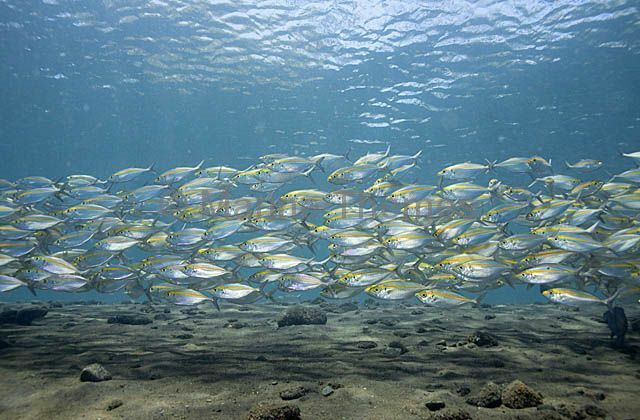 Mackerel Scad (Decapterus macarellus) schooling over coral reef. 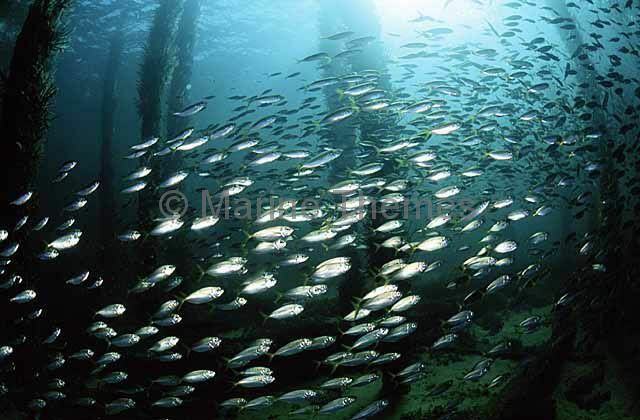 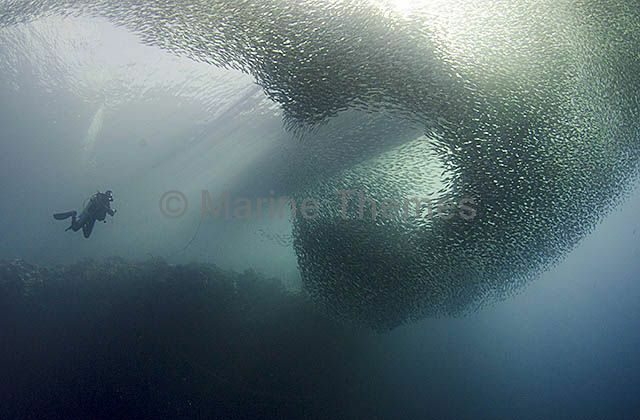 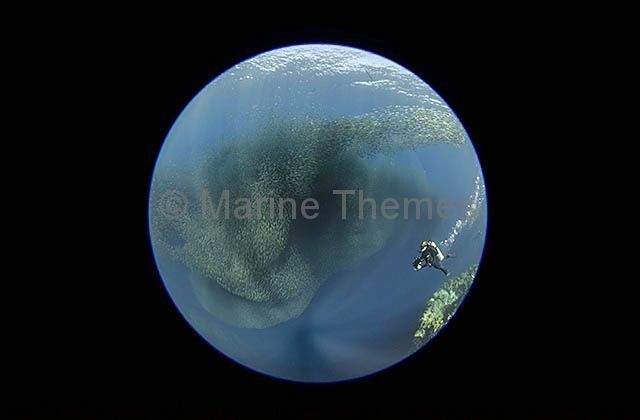 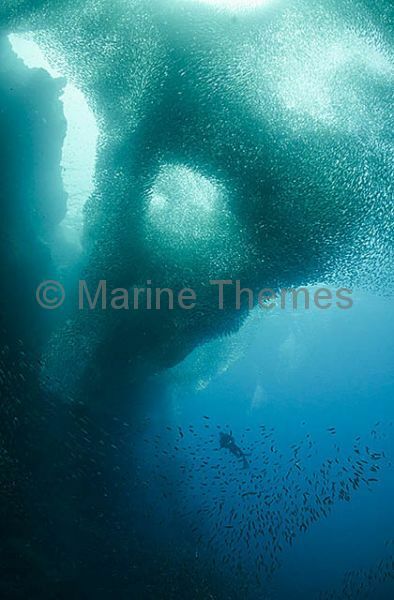 Mackerel Scad (Decapterus macarellus) schooling, with diver.